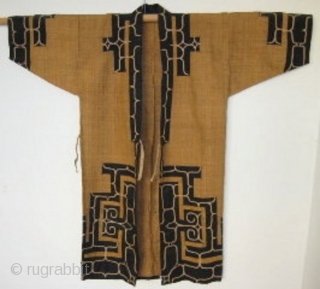 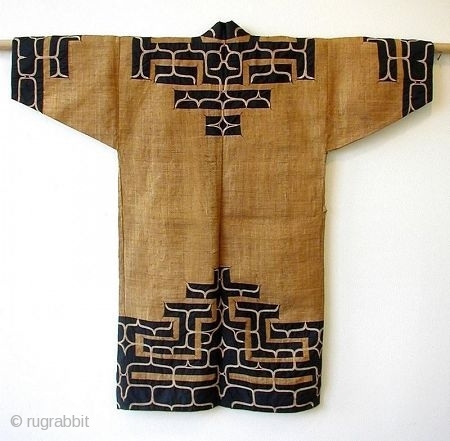 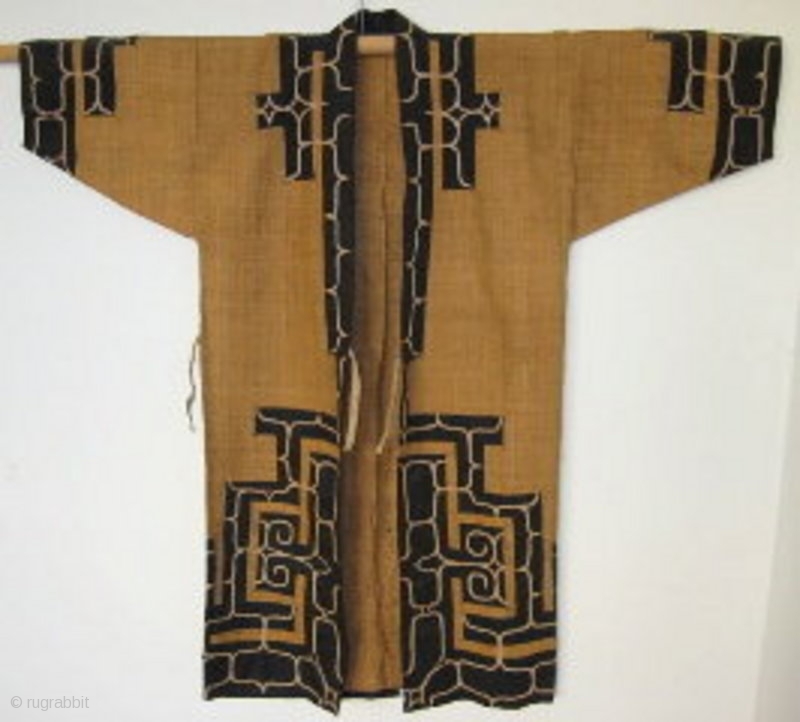 Japanese traditional tribal robe worn by the Ainu people of Northern Japan. 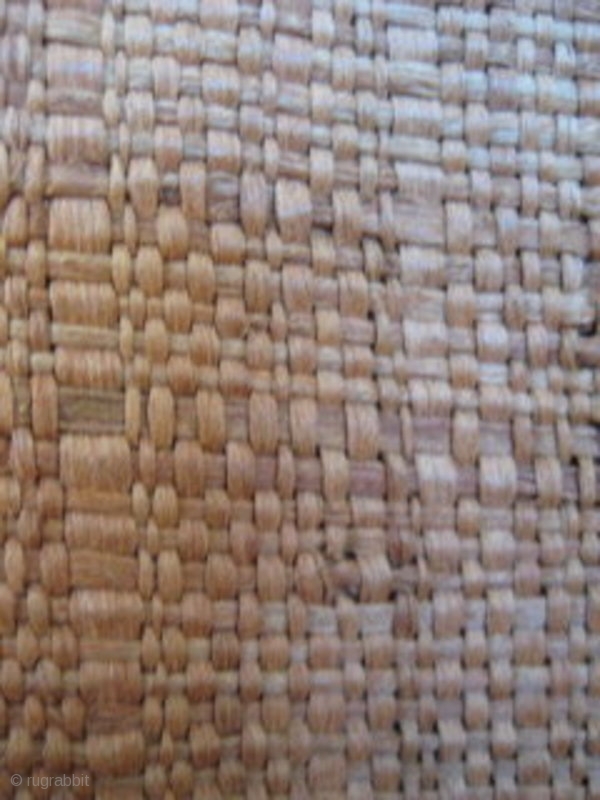 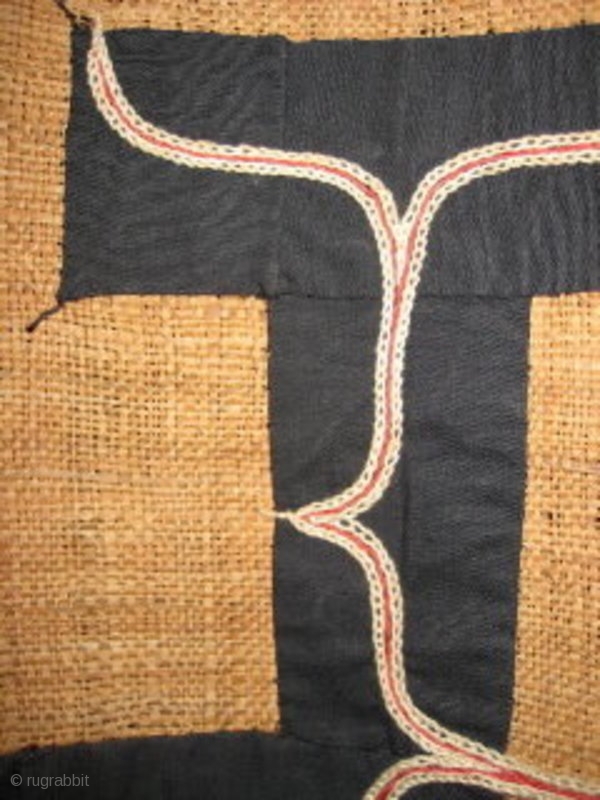 Hand woven out of fine strips of elm bark with wide strips of dark indigo cotton cloth with chain stitch embroidery. 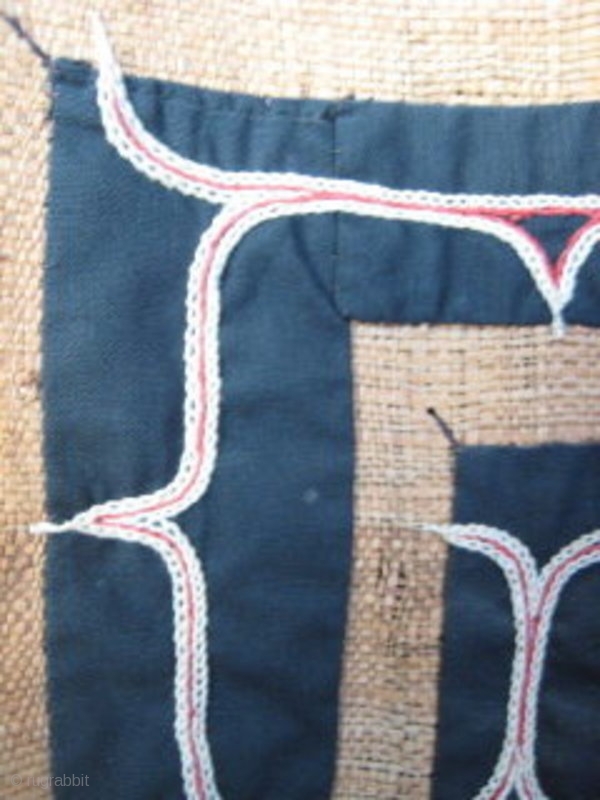 minor wear consistent with age.